Want a discount? 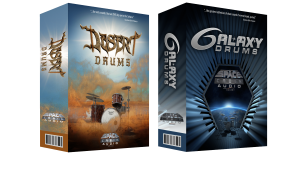 Become a member by purchasing Galaxy Drums, Desert Drums or Galaxy Drums & Desert Drums Bundle! 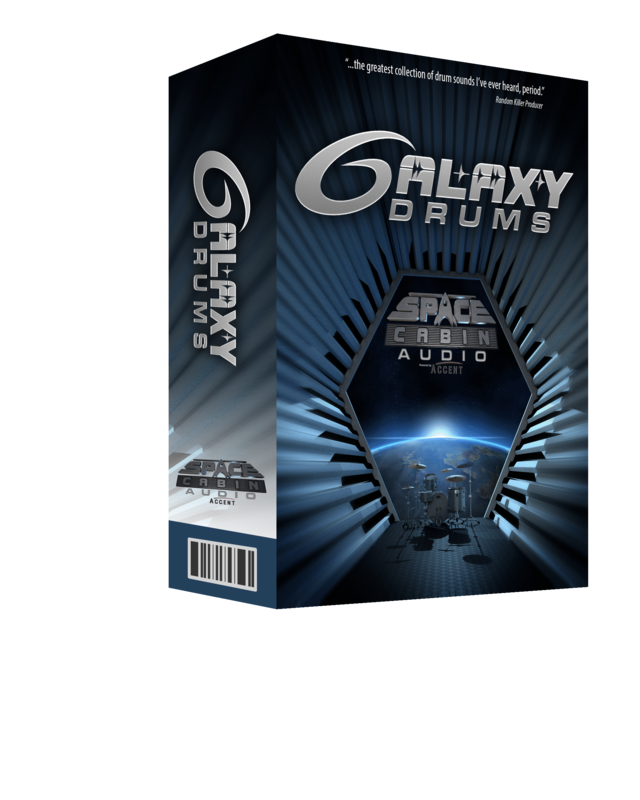 Galaxy Drums is the first sample pack created by Space Cabin Audio. 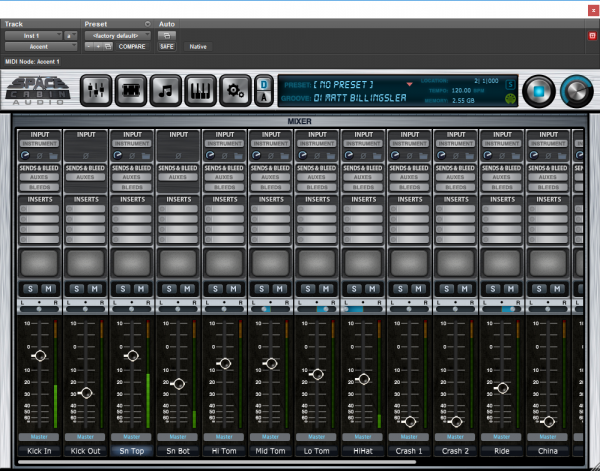 This ground breaking drum software encompasses heavyweight studio drum tones, extensive depth of dynamics, and acute sensitivity and attack. Galaxy Drums include two, four piece drum sets, four snares, and a variety of cymbals. The kits recorded were chosen for their superior tonality and versatility. 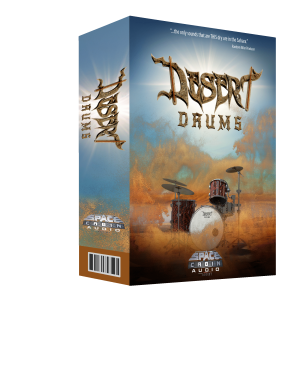 With the option between a vintage maple drum set and a custom stainless steel kit, this pack provides a variety of massive toms and punchy warm bass drum opportunities. The four highly sought after snare drums recorded create options for different metals and wood snares that allow you the advantage to find the perfect accompaniment for your specific musical requirements. With a wide range of pro crashes, rides, hi hats and a china cymbal, that vary in colour and attack, you have the ability to script the ultimate combination of cymbals to accomplish the perfect accents needed. Powered by Platinum Samples “Accent” drum plug in, we custom designed a sleek user interface based on a vintage American recording console aptly named “The SpacePI”. Not only does the interface look amazing, it allows you to insert VST effects from your plug in library directly inside of the plug in. The days of having to bus out drums to aux tracks are over! 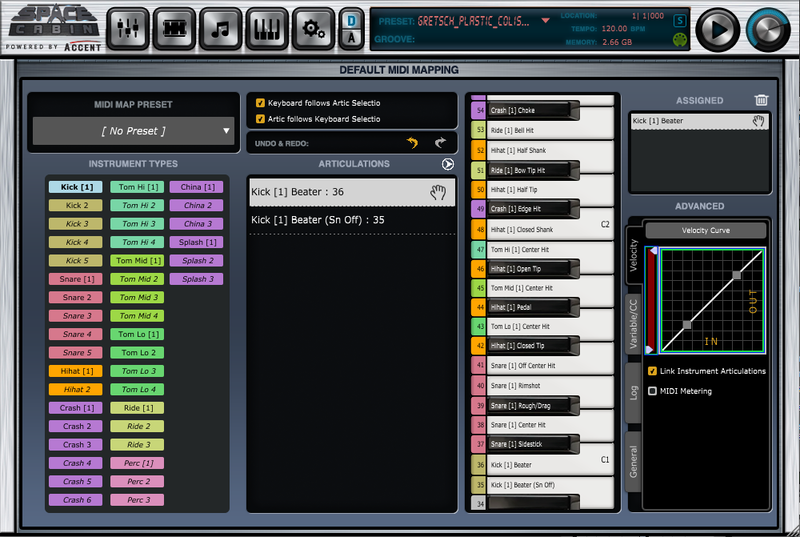 Everything can be handled in the this re-sizeable GUI. Accompanying the drum samples is an extensive midi groove library, featuring everything from basic beats, and simple patterns and beyond. 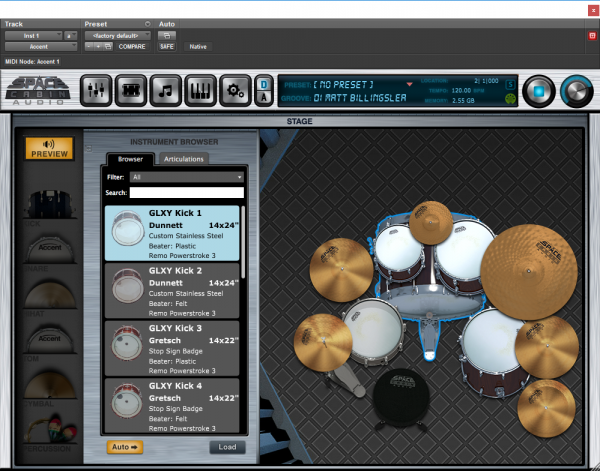 With the combination of trendsetting expressive drum tones and advanced user interface, Galaxy Drums is confident to provide you with a product that with cover all your drum software needs and then some.